Khmelnytsky turism » Gothic tower in Krivchik. A village of Krivchik in Dunayivtsy district is situated on both banks of the Ternava River. In 19th century it was a small town with 1500 inhabitants who were not only peasants but also handicraft workers and merchants. The name of the village is derived from the curved river stream which meanders among the Tovtry mountain footages. On the south-western edge of the village, on one of the hills, you can find the remains of the settlement which probably had a fortress because there were stone buildings and ramparts a century ago. And it is the hill which had some caves of ancient people and their settlement. 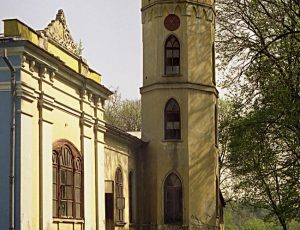 But the most significant historic monument is the former mansion of 19th century which was a possession of Mikhailo Krupenskiy. 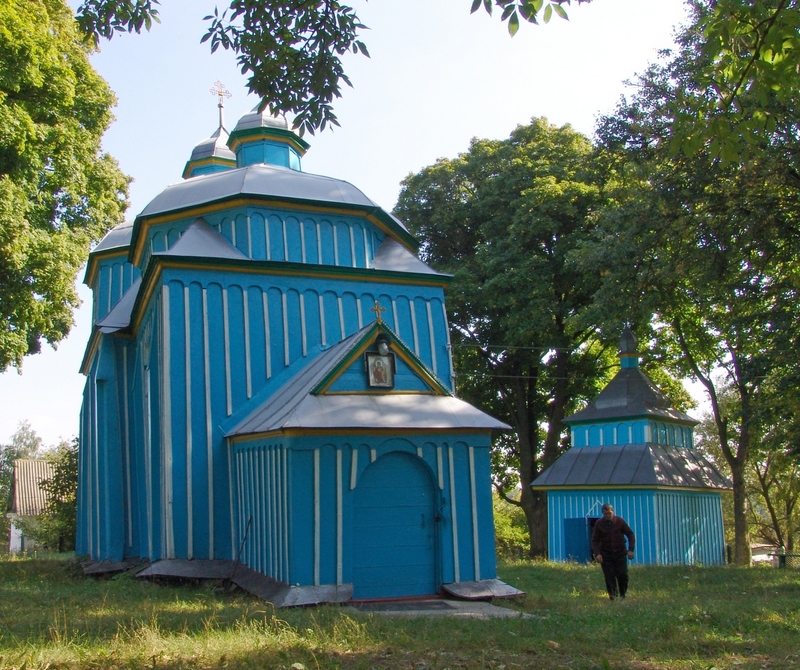 The whole village of Krivchik was a possession of Krupenskiy. The landlord ran his own estate by himself. He also had forests and fields around as well as distillery and brickyard in his possession. His mansion was planned and built on 57 dessiatines of his most picturesque lands. Today the mansion has four-storey tower with a clock, household outbuildings and an old park. It is a home to a psychoneurological establishment for sick people.